The meaning behind "Words Carved in Stone"
is that when you listen to the substance of the elder's music, you can always go back & hear the spirit that was intended; we want to make songs that'll last forever. 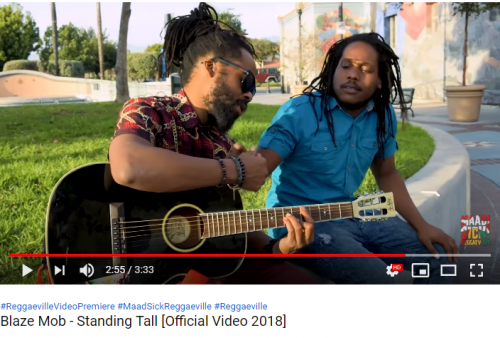 "Most of the songs on Words Carved in Stone, like "Standing Tall", "Foundation" and "Jah Provide A Way" have an organic feel" - HOWARD CAMPBELL from the Jamaica Observer wrote. 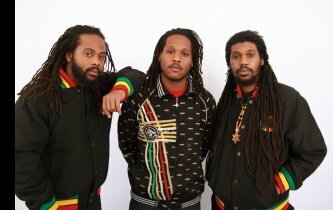 This lively, upbeat Reggae Band known as BLAZE MOB has reggae in their bloodline. 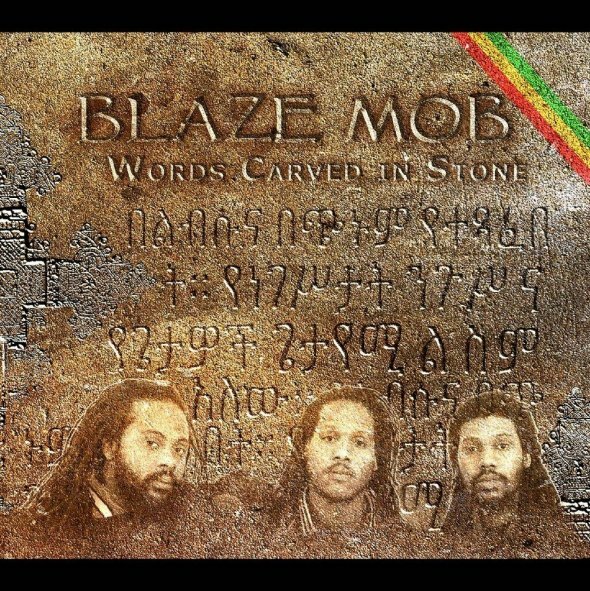 The dynamic reggae band “Blaze Mob” – with harmony, unity, and the positive vibrations conscious roots reggae music springs. Composed of brothers Shaka “Rock” Dennis, Gyasi “Gong” Dennis, and “King” Saeed Dennis, Blaze Mob was throwing a listening party to promote their second full-length studio album “Words Carved in Stone,” released on the fittingly named “Dennis Dynasty” label; fittingly because the three young men are sons of Rudolph “Garth” Dennis, an original member of Black Uhuru and longtime singer for the Wailing Souls – a seasoned, veteran musician, who, by any reasoned estimation, is a foundational figure in reggae music. 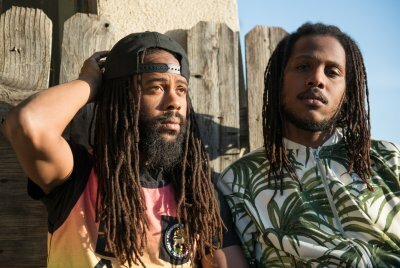 Blaze Mob recently returned from a soul-replenishing journey in Jamaica. While there, they went back to Joseph "Jojo" & Ernest Hookim, the owners of Channel One Studio in Jamaica and went through the archives, selecting classic riddims & remade some of the riddims for a new sound & vibe. 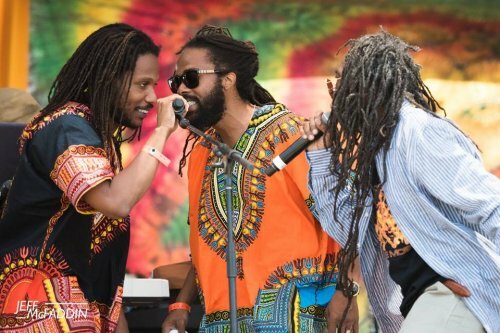 Sharpening their musicianship, they also worked with Earl "Chinna" Smith once a week, redeveloping the roots, resetting the vibes and catching back the classic roots Jamaican feeling. While in Jamaica they also recorded & shot video with Steam Team JA. Blaze Mob was busy doing a Press Tour with Jamaican & European Newspapers & Magazines. was "Big Road" a Dancehall/R&B cross-over track. They just completed shooting the video for "Standing Tall", the second song from the album. The video was shot throughout California, premieres on Reggaeville today, December 21st.